In 2005, as part of an agreement related to the Hudson Yards rezoning, the city said it would build new affordable housing on the site of the Harborview Terrace parking lot. Fourteen years later, Hudson Yards is open for business, and the parking lot is still there. NYCHA now says plans for the Hell’s Kitchen site, next to a public housing complex between West 54th and West 56th streets, are no longer in the authority’s pipeline of future developments, The City reported. “Post our NYCHA 2.0 rollout, we are evaluating this project and will provide an updated proposal to the residents association when final,” mayoral spokesperson Olivia Lapeyrolerie told The City, referring to a plan de Blasio unveiled in December to preserve public housing. Residents and local officials were surprised to learn of the change in plans, which has gone through several modifications in the past. 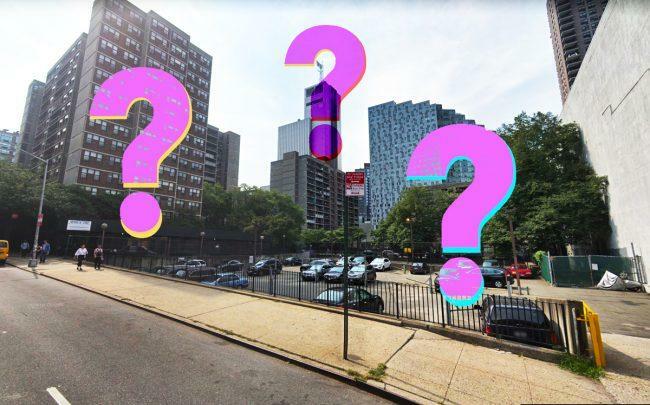 Though the original plan envisioned just 155 units of affordable housing, an update proposal from NYCHA last year called for a luxury-and-affordable-housing tower up to 50 stories high.